What Does the EVAP System Do for Your Vehicle? Your vehicle’s oil and fuel give off vapors that are harmful to the environment. That’s why evaporative emissions control systems – EVAP for short – are mandated in all cars and trucks. The EVAP system is there to capture these vapors and direct them into the engine to be burned – kind of like an onboard recycling program. It is a complicated network of hoses, valves, filters and more. 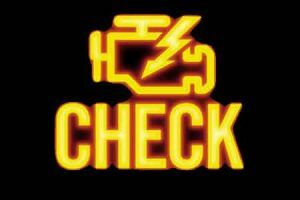 Issues with the EVAP system are in the top 5 reasons for a Check Engine light to be illuminated. Your friendly and knowledgeable Dakota Ridge Auto service advisor can pull the trouble codes and begin a diagnostic procedure to isolate the fault. With the proper equipment, a technician can test the valves in order to trace a blockage. A low-pressure smoke test can be performed to find leaks. The repairs are then made to get the EVAP system working again and to reset the Check Engine light. While EVAP problems don’t generally lead to vehicle damage, the fact that they trigger the Check Engine light can mask other more problems for if left unaddressed. After all, there are hundreds of conditions that can trigger a Check Engine light, but there is only one light. So, if the light is on because of an EVAP system issue you haven’t fixed and another arises, you won’t be alerted to the new condition because the light is already on. Of course, if you live in an area of Colorado that requires emissions testing to register your vehicle, you won’t pass the test until you make the repairs. An EVAP trouble code could be caused by something as simple as a loose or worn gas cap, a leak in a hose, problems with a purge valve or even a rusty fuel filler pipe. When your Check Engine light comes on, call or simply bring your vehicle into Dakota Ridge Auto in Littleton and let us check it out. Your Dakota Ridge Auto service advisor will be able to diagnose the system and work out a plan to address any problems that are uncovered.